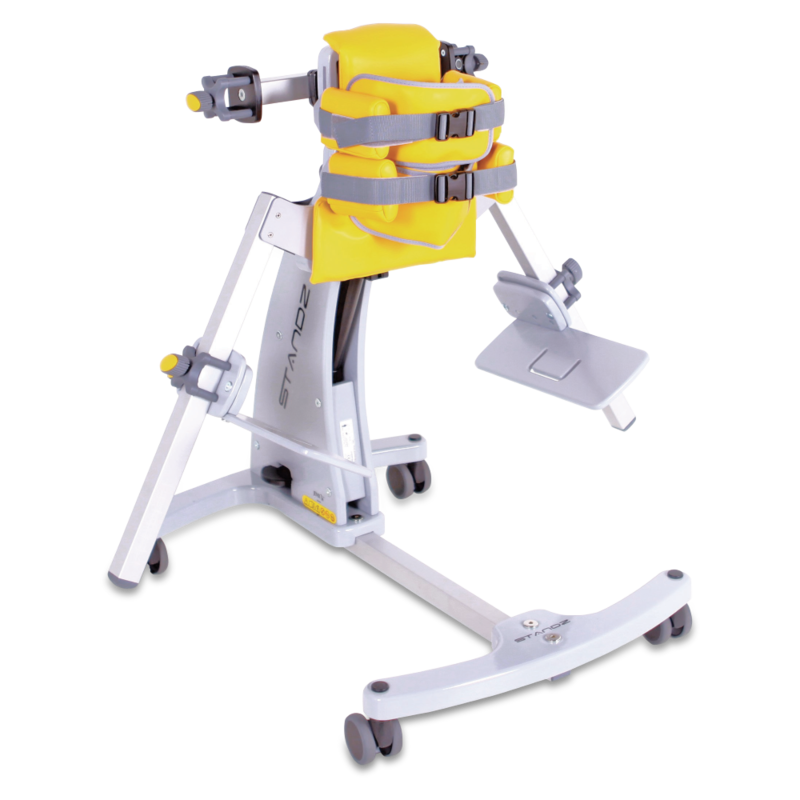 Standz abduction standing system offers Prone and Supine abducted standing (of up to 60°). Standz is available with a full range of accessories to accommodate all users, and is suitable for children up to approximately 9 years old. Inspired by the clinical benefits of abducted standing we have worked closely with therapists from all over the world to ensure the perfect combination of clinical positioning with simplicity of use and are delighted to bring you Standz – our most versatile standing frame yet! 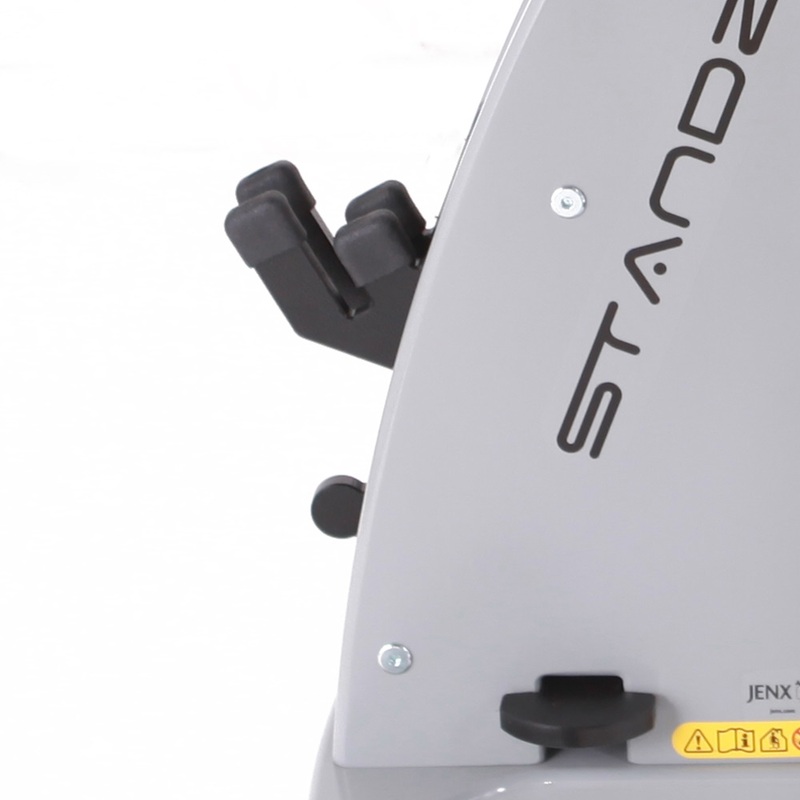 Standz offers Prone or Supine standing and easily accommodates either abducted or neutral leg positioning for children between the ages of 1-9. Leg length discrepancy is easily accommodated by the individual control for knee and foot positioning and all adjustments are tool free to enable quick and effective clinical postural adjustments. An extensive range of accessories ensures that Standz can accommodate children with a wide range of postural requirements. Please note, this is a base package to which accessories must be added to achieve function. Refer to the script form to see required accessories. For prone or supine configurations. This does not include a strap, and these must be purchased separately. There are two strap options for the Standard Knee Support. The Jenx Multigrip headrest is available in three sizes for a number of Jenx seating and standing systems. All have a choice of various highly flexible fixing brackets dependent on the product it is used with, all of which give adjustment for height, depth, and angle. For children with reasonable head control. For supine configuration only, but can also be used as chest pad in prone configuration. Shoulder support for supine use only (too wide for prone). For use in prone configuration. Mounts to the pelvic support board. For use in prone configuration only. Mounts to bracket in base package. For both prone and supine use. 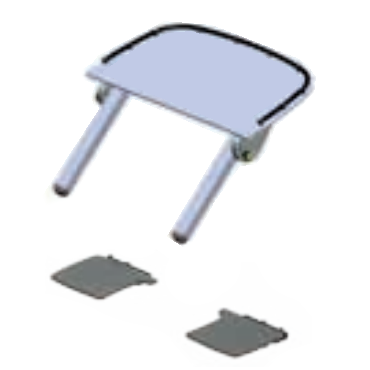 Includes width adjustable tray extension wings. When in Supine, the tray needs to be removed to remove the child. Place the tray on the convenient tray holder so you don’t trip over it!